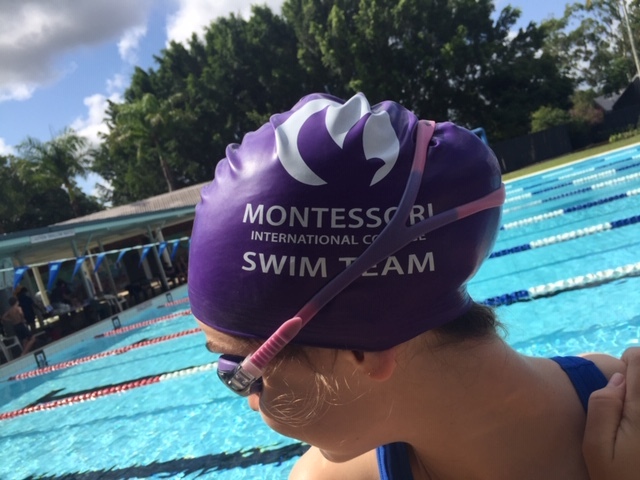 Yesterday our first ever Montessori International College swim team competed at the North District Swimming Carnival at Nambour Aquatic Centre and achieved some fantastic results. 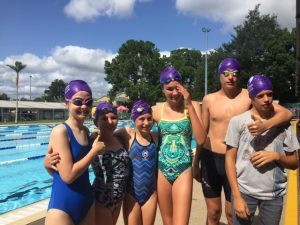 Senior Phase Guide and Health and Physical Education Specialist, Natalie Carlyle, said although the team’s results far exceeded their expectations, the highlight of the day by far was how the children conducted themselves at the meet. 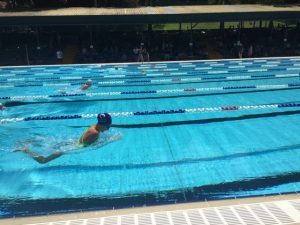 “Our team did our college proud,” said Natalie. 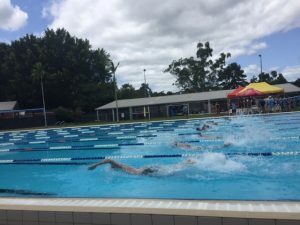 This was the college’s first foray into swimming and despite no training at all prior to the event, the six students who participated all clocked personal best times with the team placing in the top 5 of the whole district in a number of events. “The can-do, give-it-a-try attitude of our MIC students meant that some of them were competing despite little or no preparation,” said Natalie. 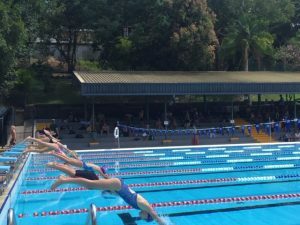 This swimming carnival follows MIC’s recent involvement in Cross Country and Athletics district events and Natalie said she is keen to continue to provide opportunities for MIC students to take part in sport at district, regional and even state and national level if that is something students choose to do. 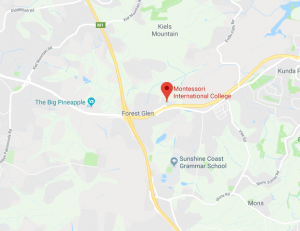 The MIC Whole School Rainforest Run, which will be held on 29 March, will also serve as a Cross Country Carnival for those students interesting in participating in Cross Country at the district level. 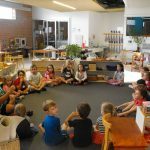 MIC students are also participating in mountain biking, rock climbing, surfing, sailing, cricket, football and other sports at various times throughout the year.